Our revolution is simple: Elevate Christ in business. We do this by helping Christian business owners deepen their faith AND grow their business. or violates your Christian beliefs, you are in the right place. practical Christian business training no matter what size business you own. Bible Studies and Lots More. 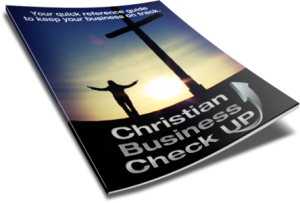 Get instant access to our Christian Business Check List, plus a Weekly Christian Business Bible Study, just for joining. Fill out the form above and get started today. What is a Christian Business Revolution? << Watch the video to find out.